In an advisory opinion, Attorney General Ken Paxton says the Fort Worth school superintendent exceeded his authority — and may have run afoul of state law — by issuing a policy to accommodate transgender students. 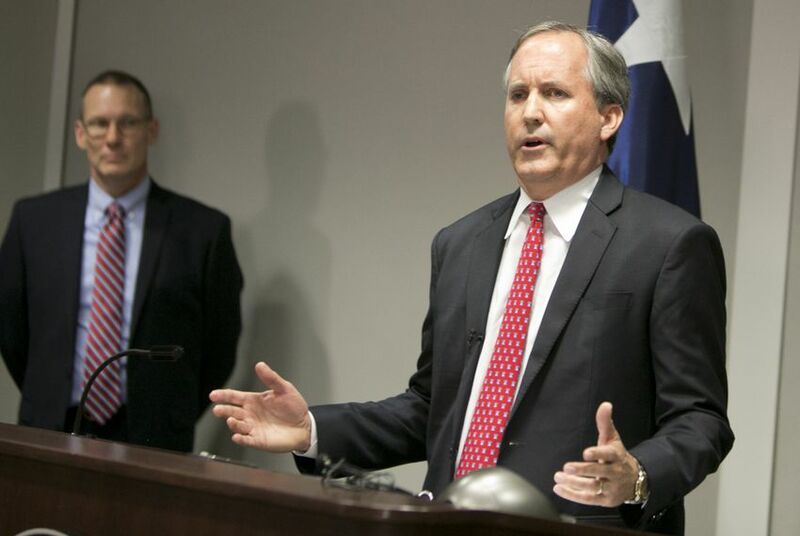 Texas Attorney General Ken Paxton on Tuesday issued an opinion saying the Fort Worth school superintendent who made headlines for formulating guidelines to accommodate transgender students exceeded his authority. Paxton also said that a portion of the guidelines instructing district employees not to out transgender students to their parents might violate state law. Attorney general opinions are not legally binding, and Paxton's interpretation has no direct legal impact on the Fort Worth district. The Fort Worth ISD guidelines are in line with a directive from the Obama administration — issued after the guidelines were adopted — that instructed school districts across the country to ensure that transgender students are not discriminated against. Republican Lt. Gov. Dan Patrick requested the opinion three weeks after calling for Fort Worth ISD Superintendent Kent Scribner’s resignation. Fort Worth ISD’s guidelines instruct district employees to "acknowledge the gender identity that each student consistently and uniformly asserts" and provide necessary accommodations to ensure their safety. Scribner announced he had signed the guidelines, which had been under development for roughly a year, at a meeting of Fort Worth ISD board on April 26. The district has indicated that the board of trustees was not asked to vote on the policy because it is an “administrative guideline” — a policy that superintendents can implement without official board approval — that stemmed from a non-discrimination policy updated in 2011. In response to Paxton’s opinion, a spokesman for Fort Worth ISD said the district’s legal counsel was reviewing the opinion. “She will advise the superintendent as appropriate,” he added. Scribner has stood by the guidelines and confirmed he will stay in his post. School board trustees have reiterated that they were in the loop on the policy change, with at least two saying they were surprised the issue had escalated. Patrick’s ire over the district’s guidelines to accommodate transgender students has played out against a growing national debate over the right of transgender people to decide which bathroom they use. The Fort Worth ISD guidelines specify that schools must ensure students feel safe in their restrooms. If a student is uncomfortable using the bathroom with a transgender peer, the school must let the student use a single-stall restroom, a gender-neutral bathroom or a restroom where no one else is present. LGBT advocates have said the Fort Worth ISD guidelines are on solid legal ground and have expressed skepticism over concerns about safety related to bathrooms. With virtually no evidence of any danger that resulted from transgender-inclusive bathroom policies, they insist the fight over bathrooms is further stigmatizing transgender people. Paxton, a fellow Republican who has since sued the Obama administration over the transgender directive, was expected to side with Patrick.